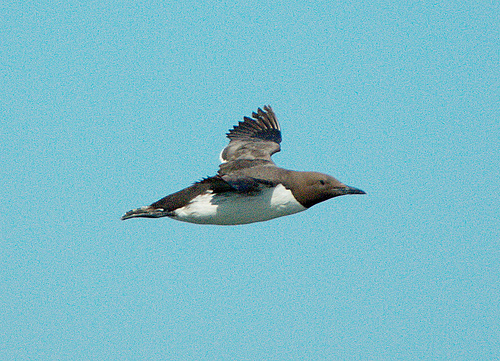 The Common Murre, also called common Guillemot, nests in large colonies on cliffs along the sea. When there is an oilspill-disaster, guillemots are often the first victims. 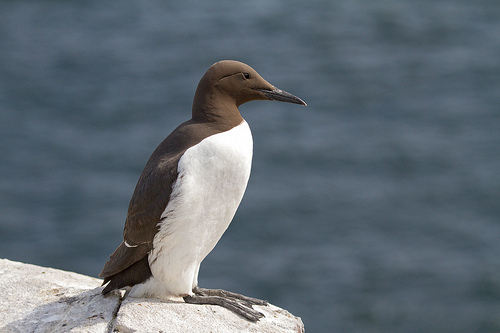 The Common Murre has a white breast and belly. The Black Guillemot is almost pitch-black, except for a distinctive white spot on the wings. De Common Murre has a thin and dagger-shaped beak. The Razorbill has a thick beak.